A week or two ago, a friend of mines daughter and family set out on a camping vacation from Saskatchewan. They stopped in Medicine Hat AB, paid a visit to grandparents and friends in Calgary and then headed west to explore the mountains of Alberta and BC. They stayed in Lake Louise, Sicamous and parts between and past. Their travels took them up the Icefields Parkway where they walked on the Athabasca Glacier, which is one of the six principle toes of the Columbia Glacier. It is receding at a rate of two to three meters per year and has receded 1.5 K in the past 125 years. That has nothing to do with the blog; it is just kind of interesting. They drove from there to another Alberta tourist mecca, Jasper. 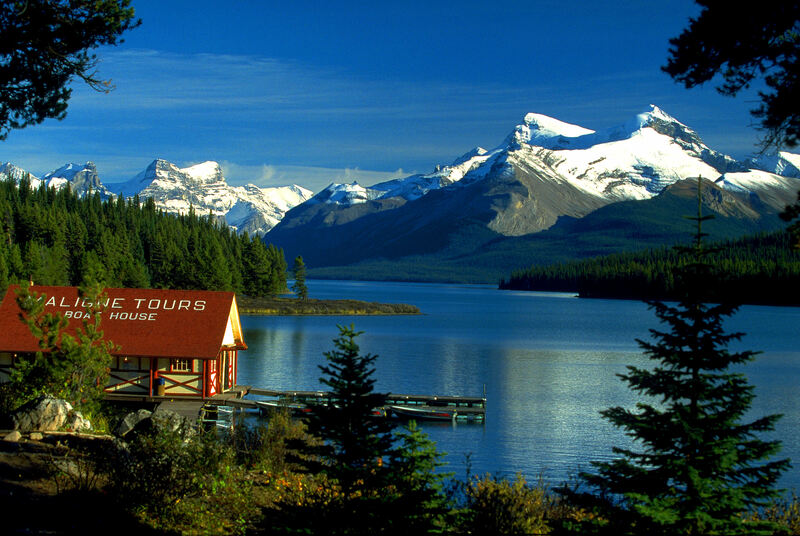 Jasper is a beautiful mountain village and the surrounding scenery simply takes your breath away no matter what season you visit. Unfortunately for my buddy’s daughter, there was no camping available and they had to drive much further south to find accommodations. Yes, it is the high season and one does expect crowds of people sightseeing just like you are doing. I personally think that when the demand for campsites out strips the supply, you need to build more campsites. There is a fine line to be walked here, but although we want to preserve these lands for future generations, it is imperative for this generation to be able to enjoy the out door experience. We as a family decided to go to the mountains near Banff and enjoy nature today. Our destination was Johnson’s Canyon which is a place we used to take the kids and they wanted to share the fun with the next generation. The highway was busy, but it is a Saturday in August, so that was expected. What we didn’t count on was the line up to get into the park, even though we had passes. I have never seen it so backed up and I was sure there must have been some horrible accident ahead of us. Nope, just lots of people doing the same thing we were doing. We eventually managed to get passed the gates and drove to Johnson’s Canyon where we found that a good portion of those we were in line with at the Park gates. We had to park quite a ways down the road and walk to the canyon. We managed to get our exercise and hadn’t reached our destination yet. The Canyon walk was and is beautiful, and I recommend anyone in the area to take it in. Just not on a Saturday in August. 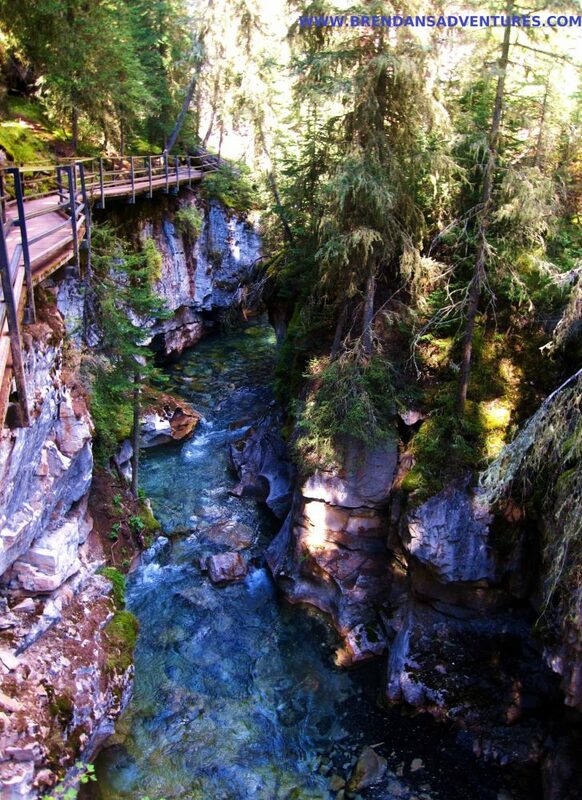 We had planned on stopping in Banff for something to eat, but the people who didn’t go to the canyon went to Banff. We opted to drive out of the park and take our tourist dollars to Canmore. I have never liked crowds and this incident is enough to keep me from going to the park during the summer months. I’m just one guy, but if the parks department doesn’t act quickly, people will start to go else where to enjoy their time off of work. I don’t have any answers, but there is a need right now for double the camping sites and judging from today, they also need to either double the parking or have shuttle buses leaving from a centrally located spot. Of course the more people that go into the wilderness, the more facilities they will need to build. No one wants to pave over the parks, but we need a genius to come up with a solution that will keep the environmentalists happy, the developers happy and the tourists happy. Perhaps we should put out a want ad for the position. Experience in non-developmental development a must. Ability to fit square peg in round hole.